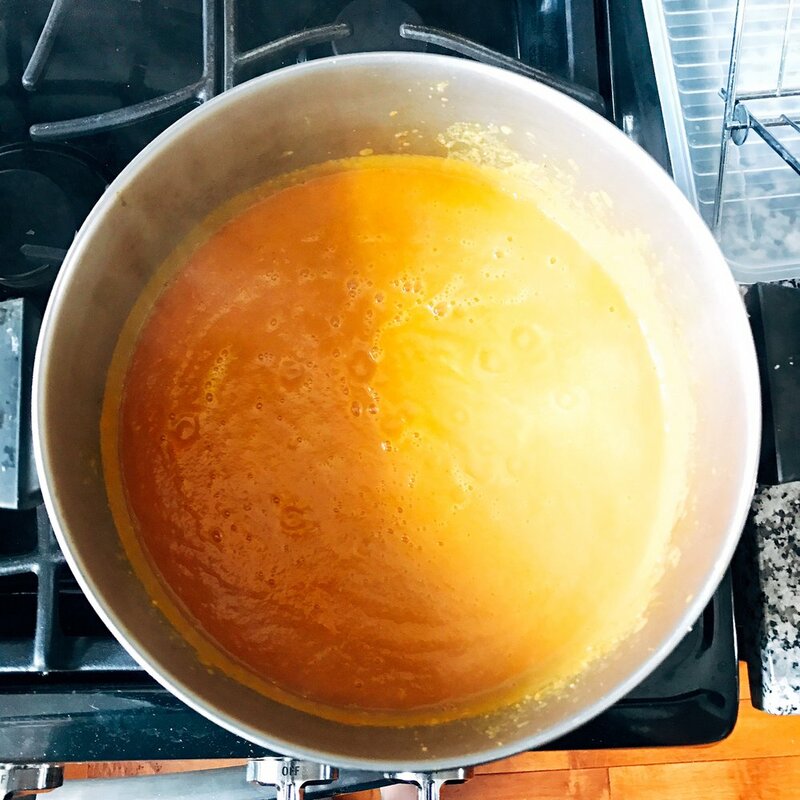 A mixture of carrots, vegetable broth, coconut milk, and a medley of spices is blended together to create a warm and silky soup that can cure any ailment. Made in just 30 minutes, you won't believe how easy it is! Something between the sudden dip in temperature, my refusal to wear pants like ever, and the stress of changing jobs got to me on Tuesday morning, when I woke up feeling like I was hit by a bus. However, I thought I was invincible. I went to meetings, had two glasses of wine at lunch with my friend Pieter, hosted trivia, put in my 2 weeks notice (!!! ), and celebrated with alllll of the tequila. I woke up with a fever, clogged nose, sore throat, the works. FUN. I needed medicine and soup, and I needed them STAT. I bundled up like a marshmallow and set off to Giant to gather both of those things. 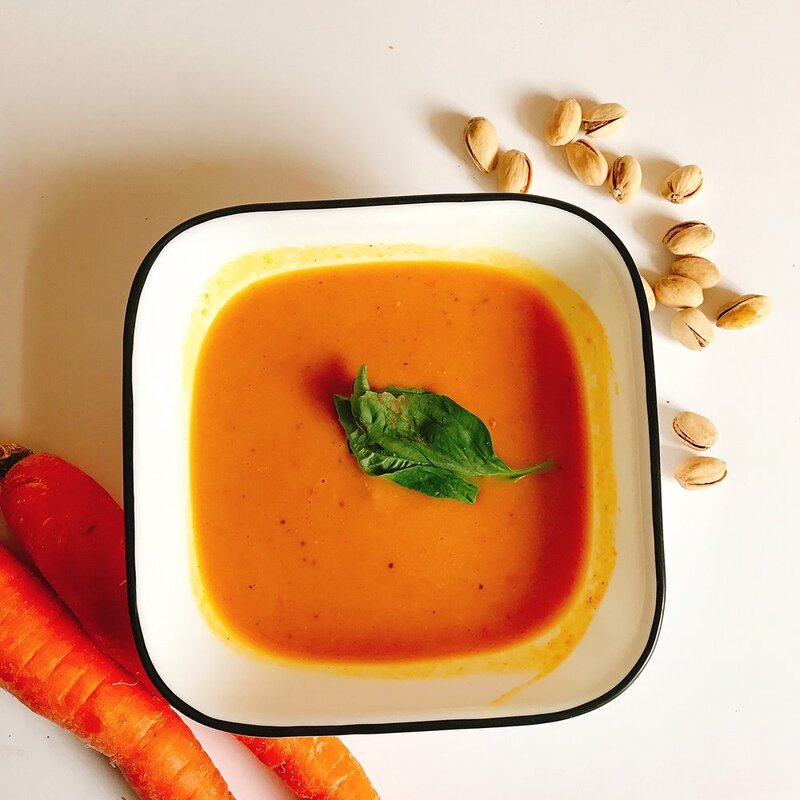 As such, this curried carrot ginger soup was born. AND I learned that Burt's Bees makes BOMB lozenges. Seriously, guys. Magical. I also started AND finished 'Stranger Things' and now will never be okay when lights flicker ever again. 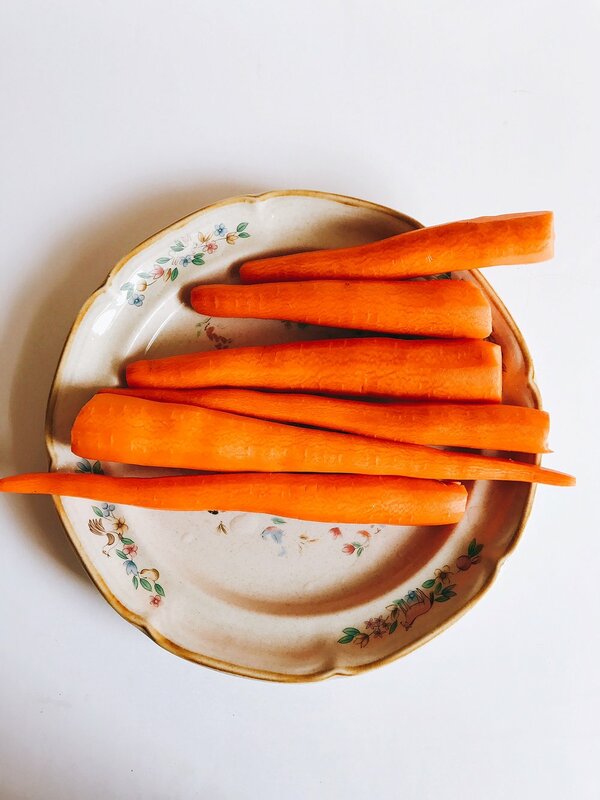 First, it's time to prep your carrots. 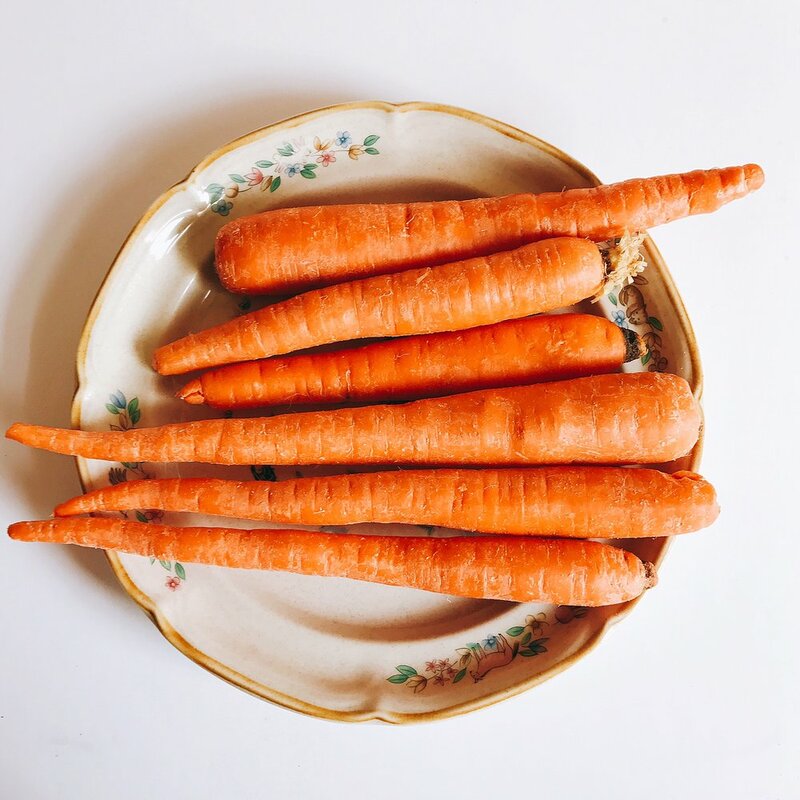 Trim the ends, wash, and peel all of your carrots, then dice them up into rounds of about 1/2". Set aside. 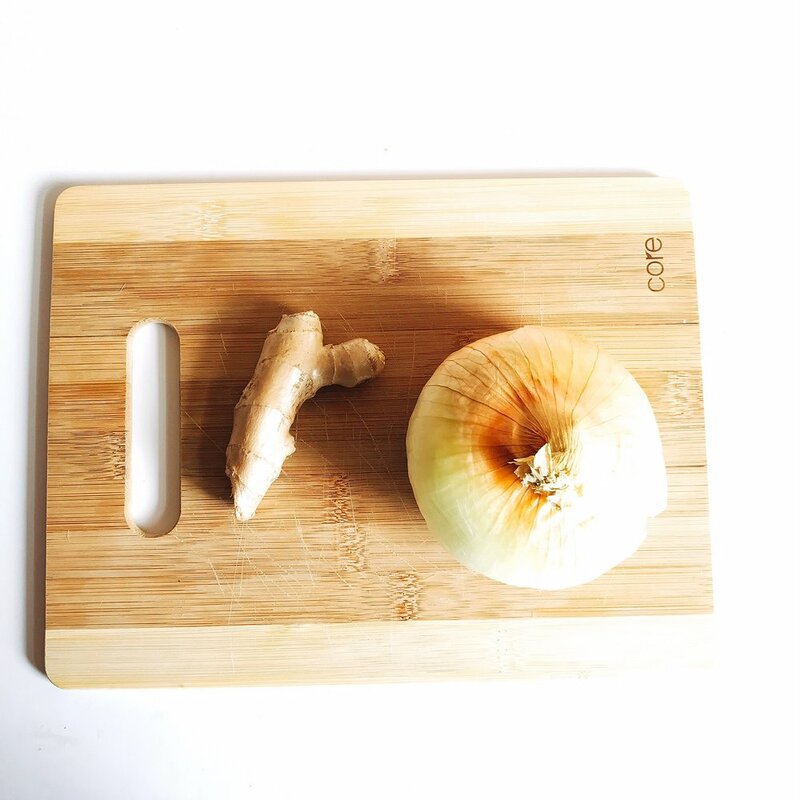 Next, peel and mince your ginger, and mince your onion. You should also do this to the garlic, but that guy's not pictured here because he was a bit of an afterthought ;) oops! 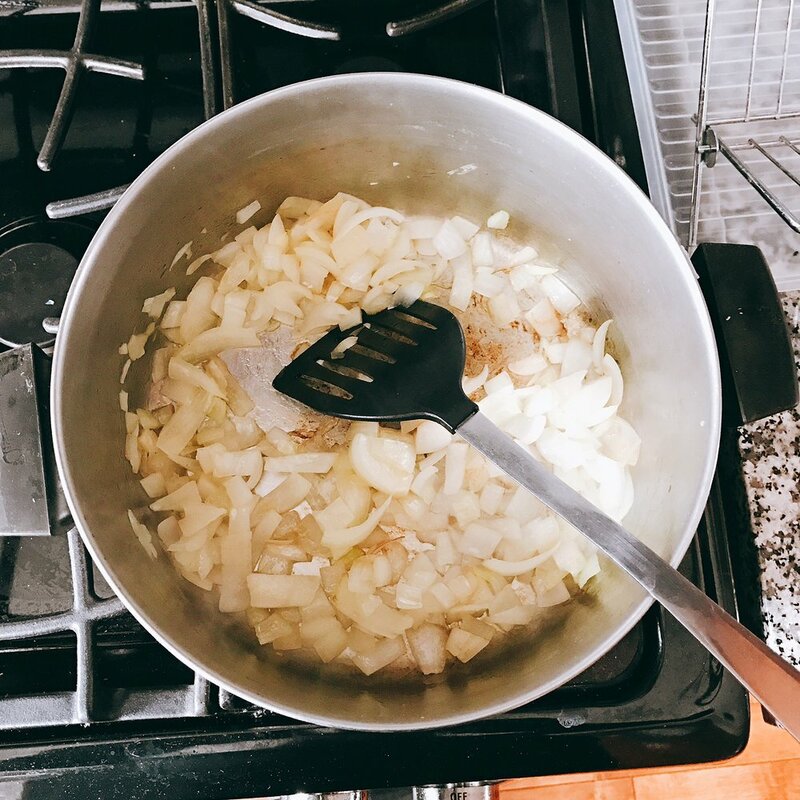 Heat your olive oil in a large pot over medium heat, then add your onion. Sauté 3 minutes, until tender and slightly translucent. Once the onion is translucent, add the carrots, turmeric, and garam masala. Sauté for 5 minutes, stirring occasionally. 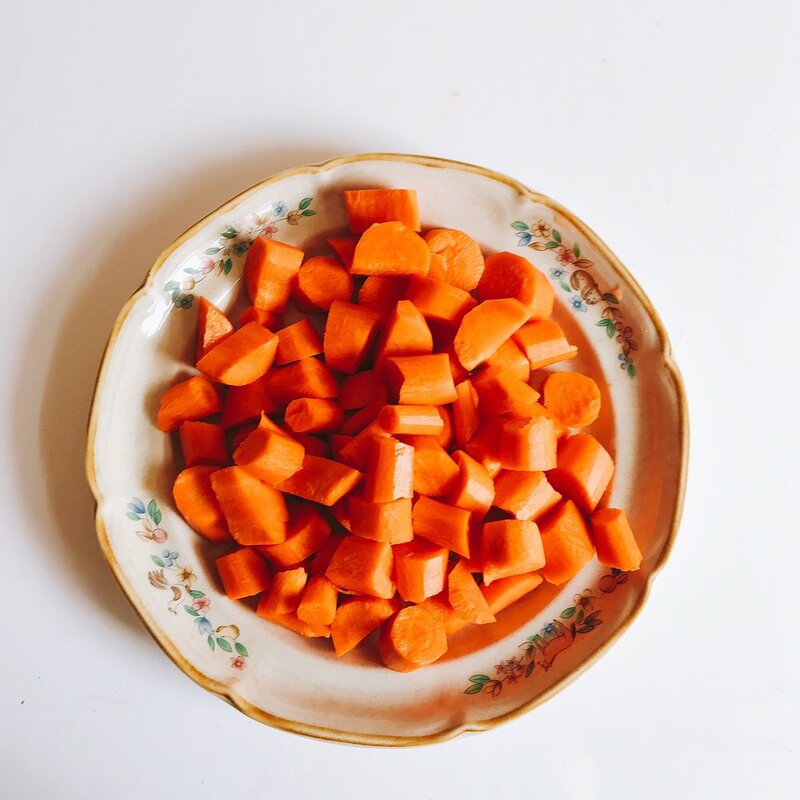 Once your carrots are done sautéing, add in your vegetable broth, ginger, and garlic. I just wanted to call out how much I love this ^^^ vegetable broth base up here! 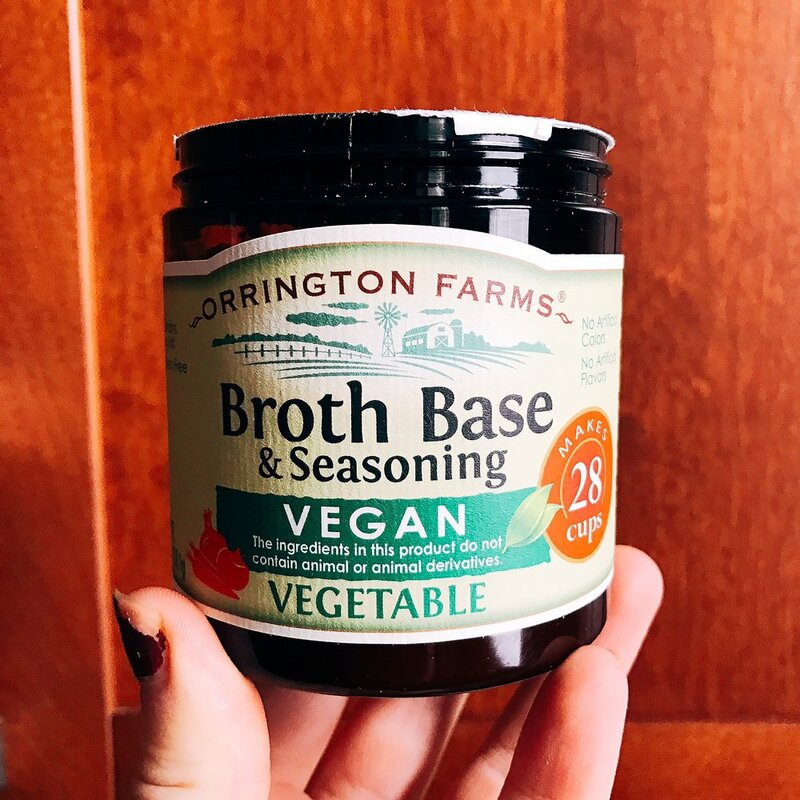 I found it in the soup aisle at Giant for $4, and it makes 28 cups of vegan broth. Ugh. Be still, my heart. 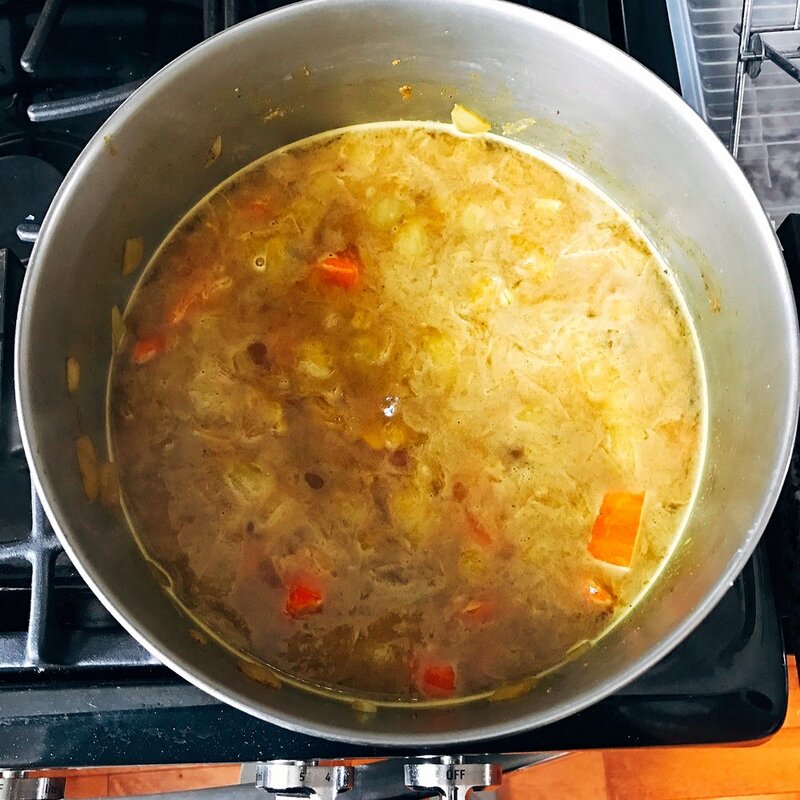 But, if you can't find it or if you hate nice things, regular vegetable broth will also do. Bring to a simmer, cover the pot, and let cook 18 minutes. 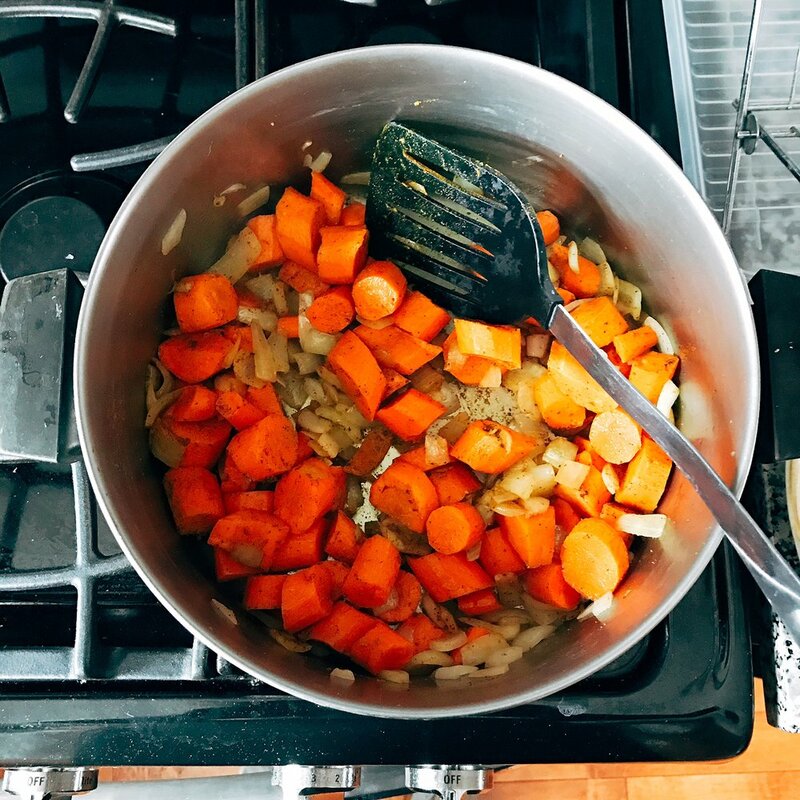 Once your soup is done simmering, the carrots should be fork-tender, and it will look like the picture at left. NOW, THE FUN PART! Get out your immersion blender (or carefully transfer your soup to a blender, if you don't have an immersion) and purée the crap out of it. NO CARROT LEFT BEHIND! Once pureed, add the coconut milk and any salt or pepper to taste. Personally I thought it was salty enough, but this girl can never get enough pepper! Warm through, and then serve. Now if you'll excuse me, I need to find a new Netflix addiction now that I've gotten through 'Stranger Things.' Black Mirror, maybe?